Judge Melanie Greally said the victim was subjected to a “horrifying experience”. A 16-YEAR-OLD youth who attacked and robbed a delivery man in what a judge described as an “extremely vicious and mindless assault” is to be given a four-year suspended sentence. The boy, who is now 17 and cannot be named as he is underage, pleaded guilty to robbery and possession of a stolen phone at Deerhaven Avenue, Clonee, Dublin on 2 November last. 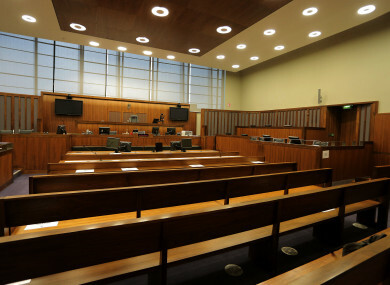 At a sentence hearing at Dublin Circuit Criminal Court, Judge Melanie Greally said the victim was a pensioner and not in a position to defend himself when he was set upon by two youths and subjected to a “horrifying experience”. “This was was undoubtedly a disgraceful and very serious incident,” said Judge Greally, describing how the man was repeatedly kicked and beaten to the head and upper body after he had fallen to the ground, exposing him to the risk of very serious injury. However, she said that the accused was afforded protection under the Children Act, which stipulates that a prison sentence must only be imposed as a matter of last resort. Judge Greally noted that the accused had no previous convictions, a good educational record, a very supportive family and a favourable probation report. She said he had also pleaded guilty early. The judge accepted that the accused may have been acting under the influence of older and more violent individuals. She set a headline sentence of six years but said she would instead impose a four-year sentence, to be suspended in full on condition that the youth keep the peace for four years and undergo 12 months’ supervision by the probation services. Judge Greally further postponed the start date of the sentence until 31 July 2019, as the Children Act requires such a deferral. She said if his probation date is favourable next July, she will then be in a position to suspend the remainder of the sentence. Garda Mark Doyle told Tony McGillicuddy BL, prosecuting, that the injured man in his late fifties had been asked to do a delivery job on the night in question. When he arrived at the address, the man found no lights on at the house and as he went back to his car he was approached by two men who asked had he any food. The accused pushed the car door into the man’s face and when he fell to the ground, kicked him straight into the nose. The injured party told gardaí that the co-accused also then kicked him in the face, and things went blurry and blood burst everywhere. The delivery man said the two youths kept kicking and punching blows to his head while he screamed for help and thought he would be killed. His satchel was ripped off him containing about €30 and his glasses, worth €200, were broken. Two young girls arrived and fetched help and the two attackers then fled the scene. The court heard one of the young women later identified the accused men in a chipper and they were arrested. A victim impact statement was read out stating that the man had been out of work for over a month, which cost him over €1,000 in lost income. The court heard the man had suffered a broken nose, concussion and chipped teeth and that although his physical injuries had since cleared, he still gets headaches from stress brought about by the attack. The man said he could not continue to work as he was afraid of a similar attack, and that he still gets nervous passing groups of people and cannot stay out after dark. Garda Doyle said that when interviewed, the youth initially claimed they had bumped into the delivery man and that an argument had started, but denied stamping on him or stealing his money. However the garda agreed with Oisín Clarke BL, defending, that the youth had eventually cooperated. The court heard that gardaí found the youth in possession of a stolen phone on the night, which was later traced to a different delivery man. A probation report said the youth was genuinely remorseful and placed him at low to moderate risk of re-offending. Clarke said his client is currently in full-time third level education and looking for a job. He said the youth had to move to emergency accommodation after his home was burnt down by vigilantes targeting African families in west Dublin. Clarke said the youth’s parents had moved to Ireland from the Congo to escape strife and were very disappointed by their son’s involvement in this horrific incident. Email “Youth who robbed delivery man in 'extremely vicious' assault gets four-year suspended sentence”. Feedback on “Youth who robbed delivery man in 'extremely vicious' assault gets four-year suspended sentence”.